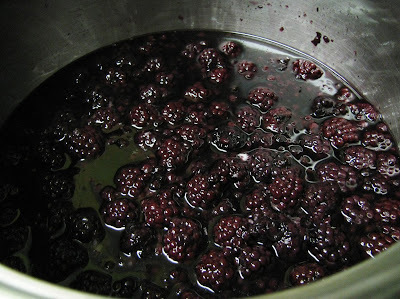 Blackberries grow in wild abundance here in Oregon, especially near the creek by which I live. You should see me in late August; I never learn to wear a long sleeved shirt and my arms take a beating from the bushes. I could simply go for the berries in front, but the temptation of all those berries taunting me, growing as far as the eye can see, proves too much for me and I forget that berry bushes are vicious and spiteful... but they reap a reward so juicy and mouth watering. Day two of General Conference proved just as rewarding as day one, as one could expect. 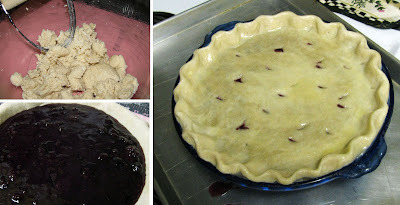 We started this morning off with, as you can guess: Blackberry Pie. My favorite talks for day two were by Elder Jeffrey R. Holland, and President Thomas S. Monson (Sunday morning session). You can listen to them at the church website. Elder Holland spoke of the Atonement of our Savior, Jesus Christ; how Christ bore His burden out of love and respect for each of us, but He solitarily bore it alone. Not only did Christ not receive comfort or help from any of His earthly companions, but He was even betrayed by them. Holland's ultimate message was one of comfort, that although our journey may be rough and difficult to bear, though we may feel lonely, our Heavenly Father has never, and will never abandon us. "We could become cynical if we only dwell on what is wrong." Often times, I get caught up in the every day. I begin to think of blessings in terms of cause and effect - if I do this, then the Lord will bless me with this. This conference was a beautiful reminder that regardless of what trials we may face, our ultimate blessing and reward is Eternal life with our families and with our Heavenly Father. When we keep this truth forefront in our lives, that which we bear is inconsequential. Garnish with a generous (always be generous with whipped cream) dollop of whipped cream! 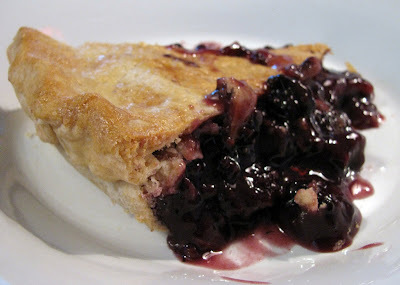 Sweet deep blackberry flavor, and flaky crust always invite a cozy afternoon. OOOh man! that looks amazing!!! i love your post! so, you go and pick those yourself?! what the!? anyways, i should've called you when blackberries were crazy in season a little while ago. i think they are STILL pretty cheap! i kept wanting to do something with them.. but never got a GOOD recipe. thanks for this! I will try it! 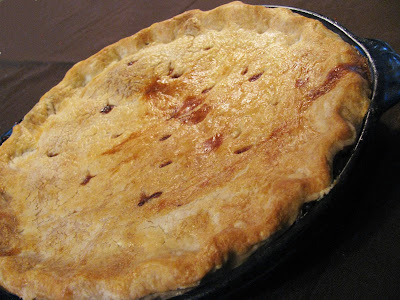 Blackberry pie sounds (and looks) fantastic. I'll have to try this once we get some in season out here on the East Coast. Yum. Hmmm.... 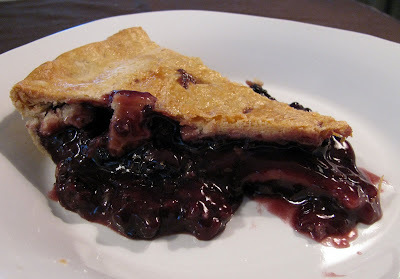 I cannot wait to get all cut up again picking blackberries! I never pick enough. Looks delicuios!